We can’t thank Koobr enough. They somehow got inside our heads and extracted our thoughts, giving the charity a new, fresh-looking brand. Any company working with Koobr will certainly be looked after by this exceptionally talented team. 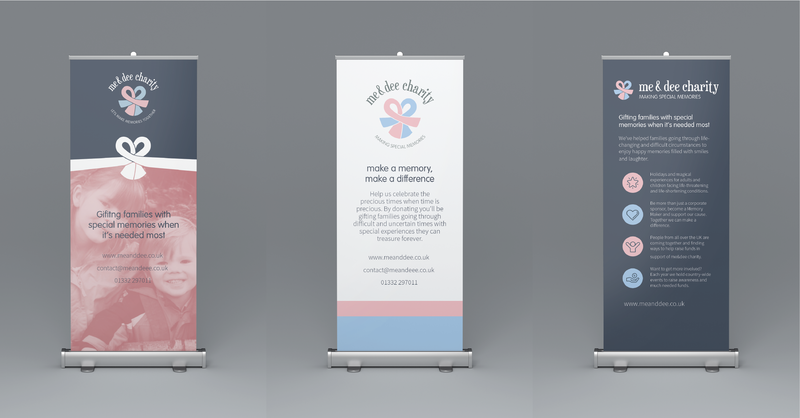 After a dramatic shift in direction, Derby-based charity Me&Dee approached Koobr to help bring everything back on-point — realigning their brand identity with the core principles upon which the organisation was originally founded. Formed in 2006, Me&Dee has worked with countless families across the UK, supporting those who are facing uncertain and life-limiting circumstances by bringing joy and happiness when it’s needed most. But after a series of internal changes, it was felt the organisation was beginning to drift further away from what it originally set out to accomplish. 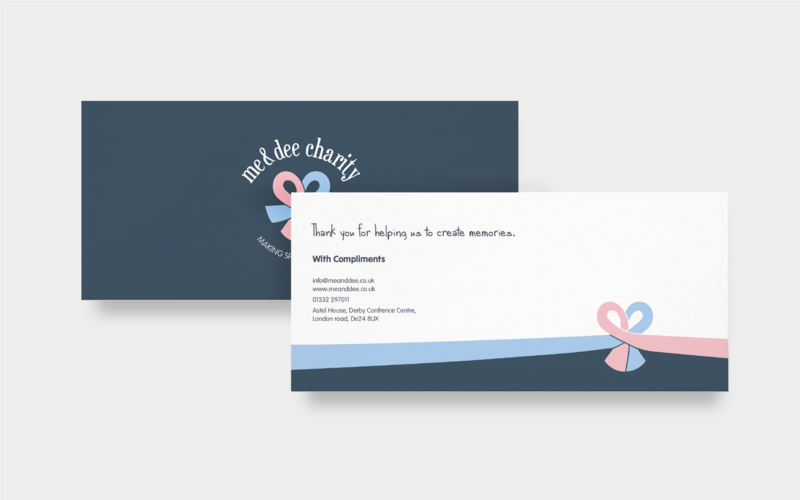 In order to re-establish a clearer sense of identity and direction, it was agreed that a soft rebrand was essential; one that would help Me&Dee reconnect with the core principles upon which it was founded. We started by distilling the organisation’s mission, vision, and values into a single mission statement. This was done to establish a solid foundation upon which the rest of the brand communications would follow — informing the style, tone, and the language used across all subsequent messaging. The logo itself was reworked but not entirely changed. The ribbon icon was requested to stay the same, but with a new, lighter colour pallet to freshen up and modernise its appearance. This was much closer to the logo’s original design when the organisation was first founded — but with a more contemporary feel. A third, darker navy colour was introduced to the overall colour scheme for counterbalance. This not only accentuated the logo when used as a background colour, it was also chosen to give the brand a more professional look and feel — something we felt incredibly important when reaching out to businesses for corporate sponsorship and support.